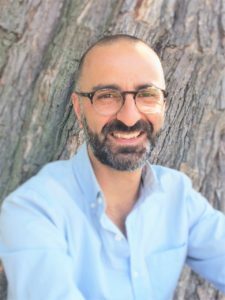 My name is Avi Zer-Aviv, and I am a Toronto-area Registered Psychotherapist (RP). Psychotherapy is an effective practice used to help the mind heal and find balance. Ever wonder what greater aliveness, empowerment, joy and meaning is for you? This may be the next step on that path. I am a Member of the Canadian Humanistic and Transpersonal Association, an LGBTQI Positive Practitioner and have been verified by Psychology Today. People come to psychotherapy for all kinds of reasons, including dealing with difficult, painful or confusing feelings and emotions, life challenges & transitions, relationship & intimacy issues, personal crisis, anxiety, depression, low self-esteem, loss/grief/bereavement, anger issues, loneliness, difficult memories, trauma, parenting, illness, burnout, sexual difficulties, feelings of being blocked or deadness, addictions, stress, identity, spirituality, creativity, authenticity, mid-life crisis, aging, job/career issues, wellness, personal development exploration, or a feeling that life could be more joyful, creative, meaningful and fulfilling. Through listening, witnessing, facilitating depth work, being with the here-and-now, creating new habits, and ensuring a safe and confidential space, I look to support the natural healing energies and abilities present within you (they are there, even if dormant). My style is client-centered, psychodynamic, holistic, experiential and depth-oriented, with an emphasis on ‘being with’ and allowing. Every client will have different needs, so there is no fixed structure to sessions. I came to be a therapist through my own healing journey, and my greatest assets are an open heart, a genuine curiosity about people, and a commitment to being with you in your experience. Other tools I work with include the use of self-care strategies, expressive art, primal therapy, breathe-work, visualization, bodywork, dream-work and gestalt. A typical session lasts one-hour. Benefits of psychotherapy include improved relationships, increased confidence and self-esteem, greater capacity to be with your feelings and life in new ways, more energy and feeling of aliveness, the ability to make better choices, feeling more connected with yourself and others, understanding your own depths, opening your heart, learning to trust, building inner resources, managing conflict wisely, taking more healthy risks, increased self-awareness, spiritual emergence and integration, meaning, joy and creativity.